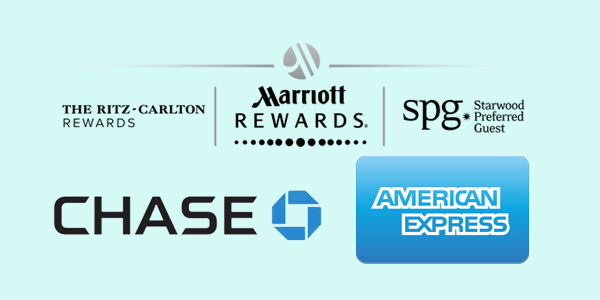 Chase has a number of credit cards that earn points in the Ultimate Rewards program. While each of those cards shares the “Ultimate Rewards” name, the points may have a different value depending on which card you redeem them from. The good news is that you can combine them all onto the card with the highest redemption value. The bad news is: It doesn’t always work. The Chase credit cards that earn UR points are: Freedom, Freedom Unlimited, Sapphire, Sapphire Preferred, Sapphire Reserve, and business cards such as Ink Cash, Ink Plus, Ink Preferred. In an earlier article, I showed you how and why you would want to combine your points onto one card. Chase permits card holders who live in the same household to combine UR points onto one of their cards. 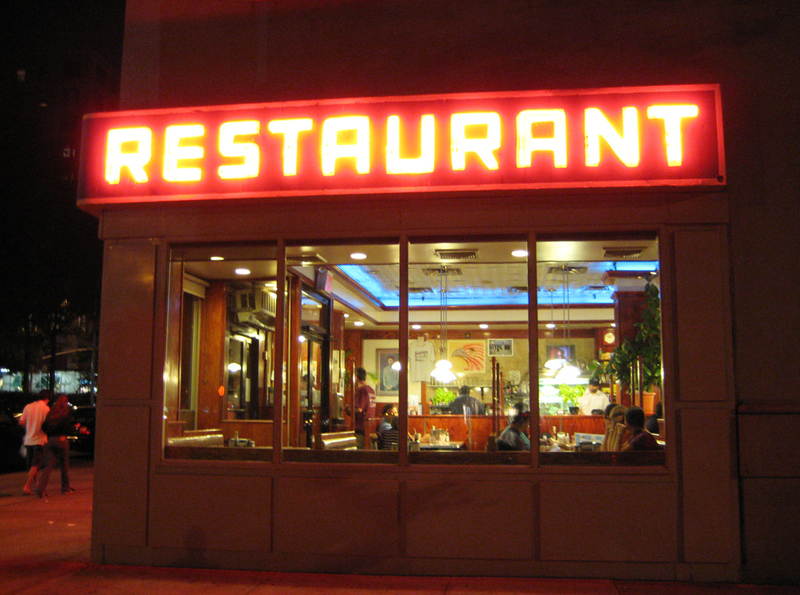 This is where many readers run into issues. 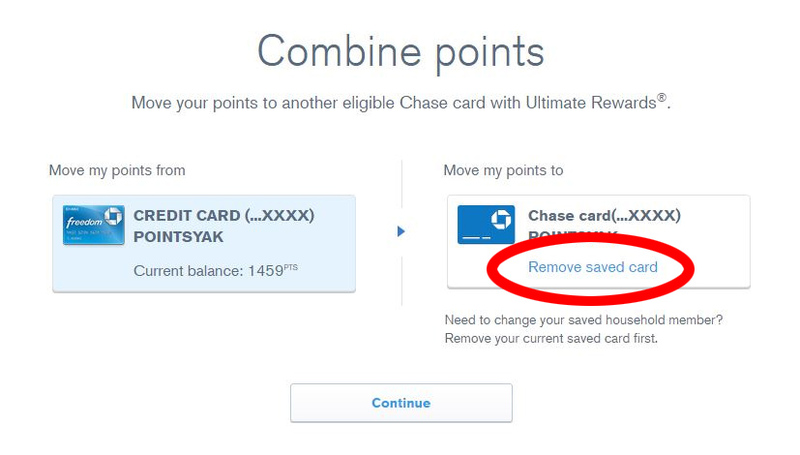 Unfortunately, Chase’s website doesn’t give you much explanation when combining points goes wrong. 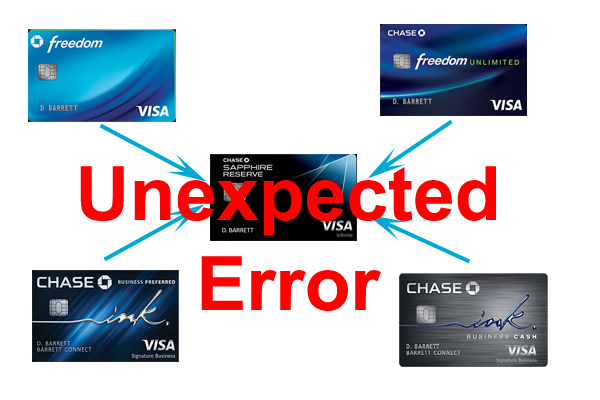 All you get is “an unexpected error has occurred.” Trying again will repeatedly lead to the same results. I have a solution that works almost all the time. I’ll review the points combining process first. If you prefer, you can skip to the end for the solution. 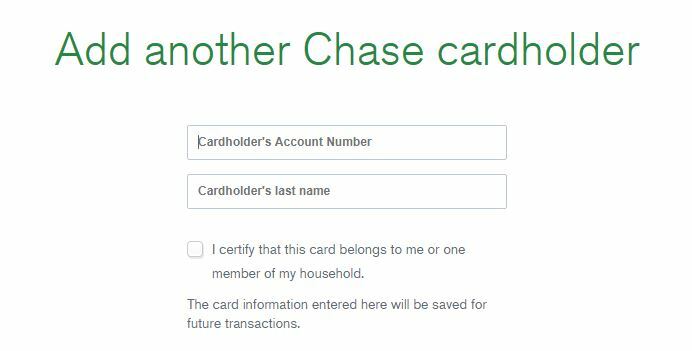 First, log in to your Chase account. If you have multiple accounts, log in to the one that has UR points you want to transfer FROM. 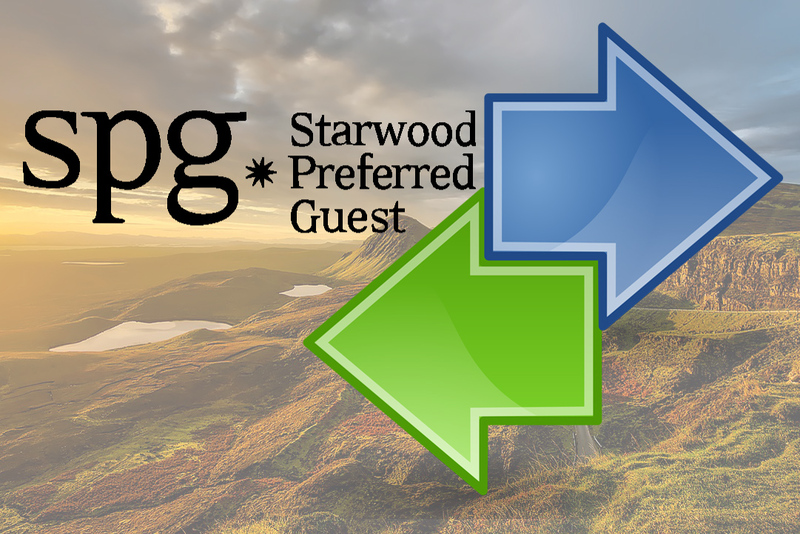 Click the banner that shows your points to go to the Ultimate Rewards website. Once on the Ultimate Rewards site, click on your points at the top of the screen and you’ll see a menu appear. Choose the “Combine Points” option. 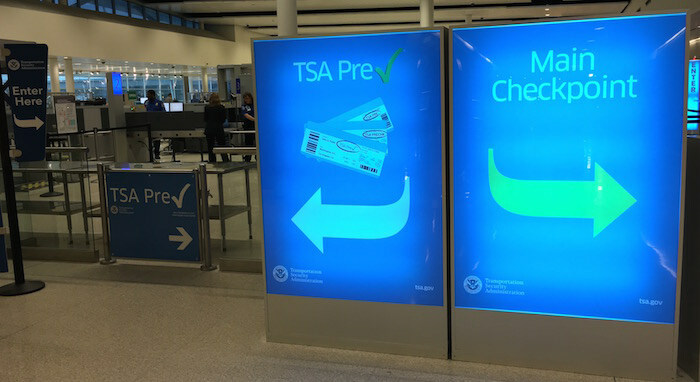 You can then follow the instructions to move some or all of your points onto your premium Chase card, or that of a member of your household. Be sure to get your household member’s account number and last name exactly correct. Mistakes here can also lead to the “unexpected error”. If all has gone well, simply enter the number of points you wish to move and the transfer is instantaneous. In order to understand the solution, it’s best to understand the problem. 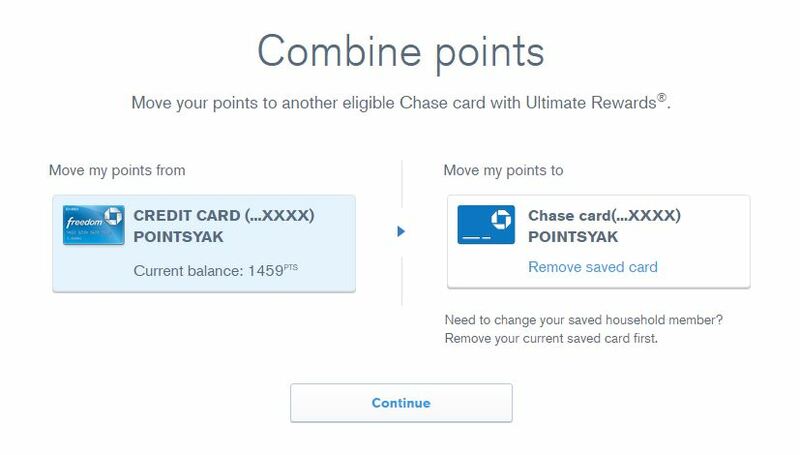 Based on my research, Chase’s systems get a little temperamental when you try to combine points from more than one card onto a single card. That’s 4 cards combining points onto just that one Sapphire Reserve. One will probably work. The rest will result in the unexpected error. So what to do? 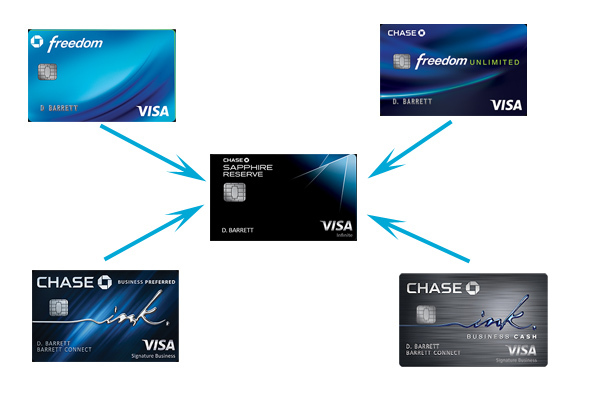 The solution is to move points in a straight line from one card to the next, with the final card being the destination card–the Sapphire Reserve in my example. This first step is paramount: we need a clean slate. 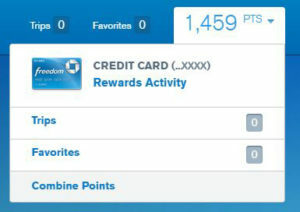 Log in to each account and for each card, go to combine points and select the “Remove Saved Card” option. When you move points in a straight line, no one card sends or receives UR points from more than one other card. Once it’s set up, it’s easy. Just remember the order and this should resolve the error. 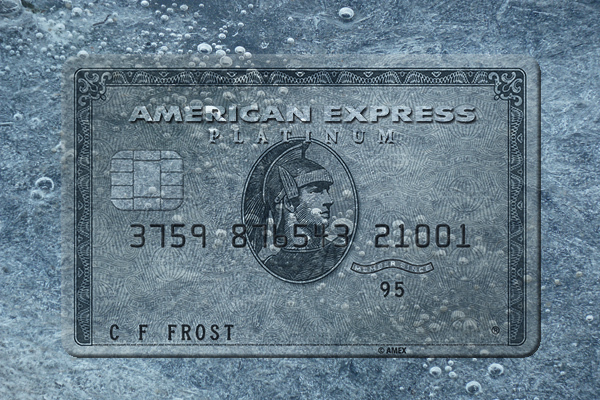 If you get a new card like Sapphire Preferred, insert that card at the beginning of your chain. If necessary, you can move points from the last card to the first card and then you’ll have a loop. You can always go back to step one and start over if you run into any problems. Don’t forget to wait the 24 hours. Have you had this problem? Did this solution work for you? Leave a comment with your results. HT: to Reddit Churning users bloc0102 and socco for the screen captures of the error messages. Great article! This has been an issue for me for years. I followed your instructions and was able to easily combine points from 5 different accounts in a matter of minutes. Thank you. @Joe, that’s great news. I’m glad this worked for you! Thanks, Is it really 24hours or less? @Pawel, only Chase IT dept knows for sure. If you try <24 hrs and it doesn't work, you need to start over again--including another 24 hour waiting period. When I went to “Combine Points”, I do not see any of my accounts (personal and business) listed under “Move my points from”. Effectively, I couldn’t do any point movement. Should I be concerned? @James, that doesn’t sound right. You should give Chase a call. After understanding “Chase’s systems get a little temperamental when you try to combine points from more than one card onto a single card”, I finally got the idea and combined the points from household to mine. Thanks for the smart idea! Ive been trying to transfer points from Ink business cash to Ink preferred. I was able to do it back in May no problem, but now I keep getting the unexpected error message? I called them and was told there was something wrong with their system. That was 2 weeks ago and it still wont work? Thanks for explaining this!! It works :). Amy, it sounds like you’ve done everything right. Are you sure there’s no other card that has combined points onto your husband’s CSR? If all else fails, you’ll need to call Chase and have them combine the points for you. I see no ‘remove card’ option under my only listed card on the right (receive) side. @Billy Bob, that means the the receiving card is included in the account that you are currently logged into. You can only “Remove Saved Card” if it’s a household member’s card, or your own card from a different login. Thanks Yak — I created a ‘chain’ via my wife’s login and I think this will work. trying to move points from my mom CSP to my CSR getting “This card is not eligible to receive points from you at this time.” I don’t see the option to add household member.. only where to move my points to. Has the user interface changed? You can only combine points to one household member. If there’s already a card listed there, you need to remove it, then add your CSR. I learned that when I already combined Family member B to Family member A and Family D to Family C, I could not combine C to A (error: “This card is not eligible to receive points from you at this time”) unless B removed A from B’s list of House hold member card. Hope this helps. Thanks for the instruction how to remove. @AC Thanks for that data point. I think in your example, you could also have combined points from C to B and then to A.
That’s true, Yak. Thank you. I see that that you can send to the same person again without restrictions.